Has the real-time branded content news room arrived? One of the biggest challenges for marketers is how to keep up pace with the ever evolving world of culture and news. It is an issue that has become especially precedent since the advent of social media and the massive growth of online video. What can brands hope to offer a generation fixated on instant live streaming of the type provided by Periscope and Meerkat? Some marketers believe that the answer is real time branded content – which in some quarters has come to be known as right time marketing. This is when brands respond to events quickly by producing advertising, or increasingly content that reflects what is happening in news and culture. Its definition ranges from quick image based Instagram/Facebook posts that are little more than old school adverts through to daily news video dispatches which are subtly branded. It is an approach that its champions argue chimes with the way younger audiences consume media. Many of the recent examples of real time branded content are little more than advertising types that some brands have been creating for years. 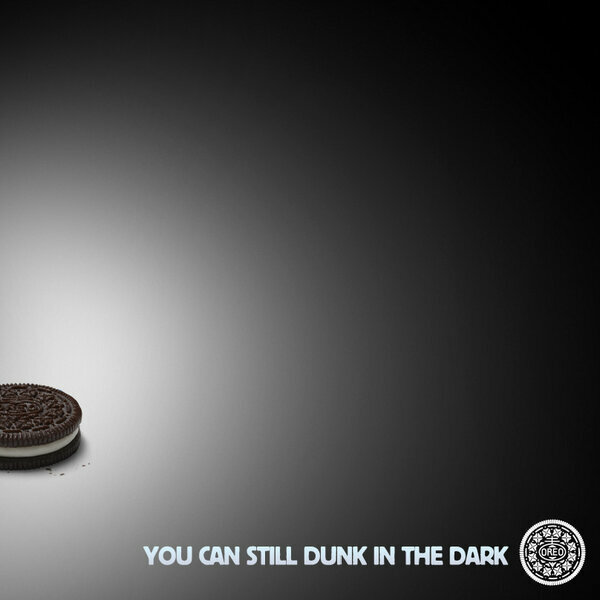 So, for example, Oreo’s ‘Dunk in the Dark’ post in 2013, which waas created for the moment the lights went out at the Superbowl, could have come from anywhere in the recent history of advertising except for the fact that it was executed and published in under thirty minutes. Similarly Samsung’s recent baiting of Apple about its the iPhone 6 announcement is the type of tactic that brands have always employed for years, except that in this instance the campaign was executed across social media. There are however growing examples of brands that are now using content as opposed to quick shot social media commercials, to engage audiences, especially those who are targeting millennials and Generation Y. And the concept of a newsroom approach is starting to become seen as having huge potential. It isn’t just ITN in the UK too. The Guardian recently set up an experiment with drinks company Diageo for its Bailey’s brand that delivered reactive stories that were dictated by The Guardian’s analytics tools that showed what was popular with the drinks’ brands target audience. Meanwhile at the end of last year Thomas Cook announced its intention to focus on real time marketing by significantly increasing both its content output and the number of places it sites that content. Real time branded context tends to split into two different sectors – ongoing content and event content. Event content has always been on the agenda of brands but at the 2014 World Cup in Brazil brands like Coca Cola and Adidas took it to the max, creating videos, blog posts, interactive games and image content that was an instant reaction to what had happened during the day at the tournament’s stadium. Similarly, for US brands The Oscars and the Super Bowl have provided rich pickings as brands have assembled teams of content specialists to deliver innovative, interactive and sometimes witty content that they hope will engage their core audiences. Brands creating ongoing content is however a much newer phenomenon. Typically this entails brands not only boasting dedicated content and social media teams ready to respond to key events in the news, but also working to creating daily dispatches of news that is very relevant to their target audience but at the same time delivers key brand messages. Among the pioneers of this approach has been ITN. The company recently debuted its Realtime Studios offering and it is in discussions with a number of brands to deliver dedicated video content, delivered across multi channels that talks directly to tech savvy web audiences but is clearly and cleverly branded. The company says that it aims to create the type of content that is relevant and authentic but is also the type of thing that target audiences will want to share. The company believes it has a key advantage over rivals in that it has such a huge back catalogue of video footage as well as significant experience in creating up to the minute engaging and quickly made content. A good example of this is the work the company has been doing with Club 18-30. ITV created mini news snippets for the brand that highlight the exciting things that are happening in key resorts it works with the underlying message to Generation Y that if they aren’t there then they truly are missing out. It will be fascinating to see how real time content develops in the UK and which brands deploy it as part of their marketing mix.